The answer is yes, maybe, and no. The Advisory Committee on Immunization Practices (ACIP) is the group of medical and public health experts that develops the annual recommendations on who should be vaccinated with what and when. The committee is made up of experts in infectious disease and includes a consumer representative who provides perspectives on the social and community aspects of vaccination. No employees of pharmaceutical companies are permitted on the committee. Pregnant women are their babies are particularly vulnerable to the flu. Vaccination not only helps to prevent pregnant women from getting the flu but it also protects their babies for up to six months after birth. Administering the flu vaccine to pregnant women was 92% effective in preventing hospitalization of infants for flu according to one study. But only about 175 out of every 1000 pregnant women are getting vaccinated. The low rate of vaccination may reflect pregnant women’s overestimation of drug risks during pregnancy and/or the fear of vaccine safety that is prevalent in some communities. But the flu vaccine is highly recommended by women’s health advocates and is safe during pregnancy. This is one that you should not skip. The Tdap vaccine you get for your newborn, not for yourself. Pertussis (whooping cough) cases continue to increase in the US and the most vulnerable population are infants 0 to 3 months old. Babies have no defense. By getting vaccinated in the 3rd trimester, you provide antibodies to your baby against pertussis. Certain pregnant women who are at risk for other contagious diseases (due to medical, lifestyle, or job-related risks) can safely receive these vaccines. These include women whose immunity is low due to other medical conditions, women who use street drugs or who live or work with people who do, and women who travel to countries where these diseases are common. Talk this over with your health care provider. ACIP recommends against the use of live attenuated virus vaccines during pregnancy. Hopefully you are immune from these diseases before you get pregnant either from having been vaccinated in the past or having the diseases during childhood. If you are not sure, get tested. 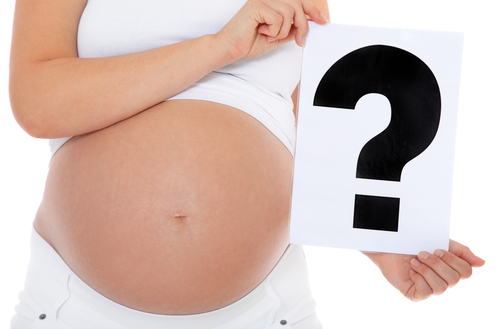 If you are not immune, get vaccinated at least 3 months before trying to conceive. If you are pregnant and not immune, get vaccinated after you deliver, whether or not you are breastfeeding. If you get vaccinated and find out you are pregnant within three months, don’t panic. There is a very low risk that the vaccine harmed your pregnancy. The diseases themselves can do more harm to an unborn baby than the vaccines do. The Advisory Committee on Immunization Practices. CDC. Accessed 9jun2015. Naleway AL, Kurosky S, Henninger ML, et al. Vaccinations given during pregnancy, 2002-2009: a descriptive study. Am J Prev Med 2014; 46: 150-157.